How do you create an easy-to-use product that gives users a singular edge in today’s extremely competitive, incredibly efficient options markets? That’s the question we sought to answer. And with ODDS Online, we achieved our goal. "I cannot expect to play certainties only. I must reckon on probabilities." 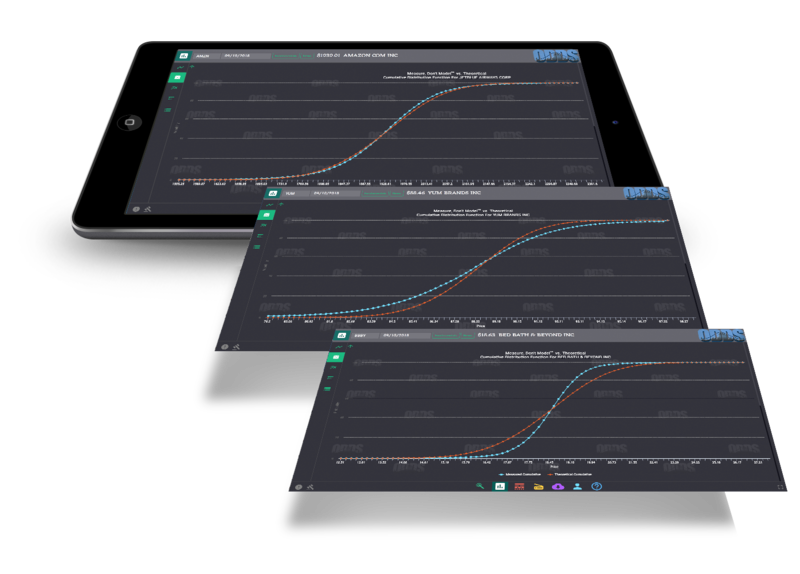 When it comes to probabilities, ODDS Online delivers like no other. Who knows why traders behave the way they do? The bottom line is they do it. With ODDS Online, we can track what they do and measure it with unmatched precision. Then we simply let the numbers speak for themselves. "The Black-Scholes formula is still around, even though it depends on at least 10 unrealistic assumptions." Black-Scholes: It may be unreal. But people still use it. It's a well-known fact that the 1972 Black-Scholes formula made unrealistic assumptions. More than 20 years ago, Fischer Black himself said as much. But that hasn’t stopped a bevy of techno 'wannabes' from developing tools they claim will help you with your trading. Here are a few examples of probability methods based on the Black-Scholes models in use today. "The very idea that any single model could be used to estimate option prices for different markets or stocks is inherently wrong." 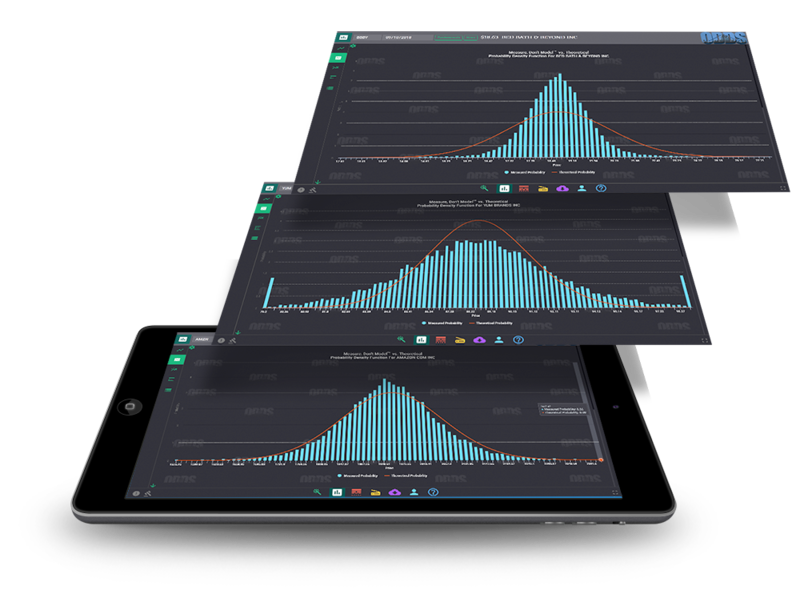 Analytical tools developed by firms such as Bloomberg and Thomson Reuters, as well as the method found in early versions of Don Fishback’s original ODDS Online (developed more than 22 years ago) have attempted to solve the one-size-fits-all problem. The current version of ODDS Online still contains this legacy method of calculating probability. These solutions are better... much better than the one-size-fits-all approach of the bell curve. But they still suffer from other inherent weaknesses: timing mismatch and overlap, which lead to all sorts of problems. Fortunately, there is an answer. And it’s now available exclusively to users of ODDS Online. 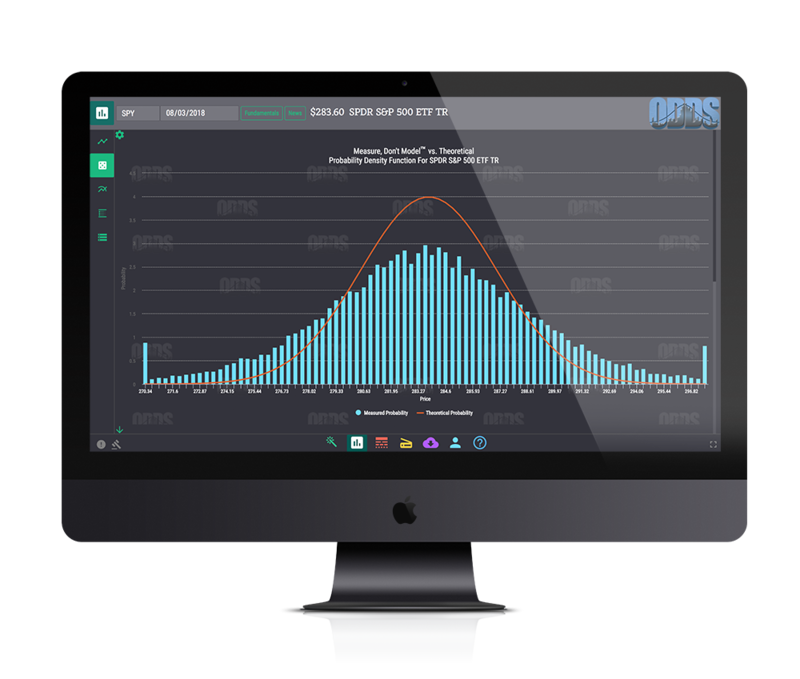 The all-new ODDS Online is the first and only program that uses a unique combination of sampling and simulation to come up with a realistic and accurate probability distribution for each and every stock, index and ETF. We throw gigantic arrays of numbers into the massive computing clusters and let algorithms find patterns where science cannot. Armed with this knowledge, you now have – for the first time ever – the opportunity to maximize your edge and minimize your risk. "You make money when the collective misprices the odds." And making it even better. When the ”collective” misprices the odds, traders have an opportunity. But how do you know when the ODDS are mispriced? That’s where Fishback Option Value, a key ingredient of ODDS Online separates itself from the “collective”. 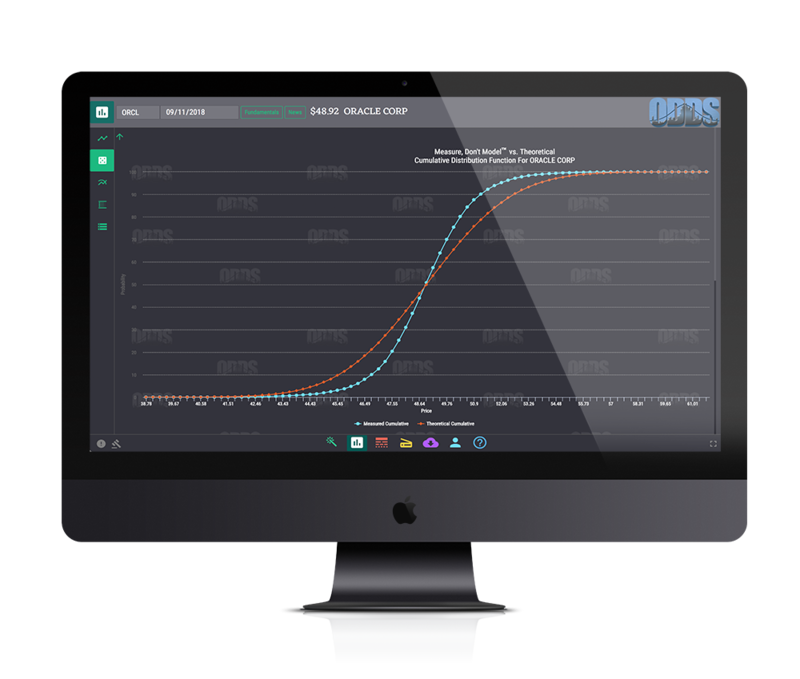 Not only has ODDS Online achieved a new paradigm in probability. We’ve optimized ODDS Online to seamlessly calculate precise option values based on each stock’s own actual distribution. Because everything happens in the background so fast, you’ll know in an instant if the odds are mispriced. The most accurate option valuation ever. ODDS Online's unique way of calculating probability is a huge advantage. Because the probability distribution curve -- which is a snapshot of the probabilities of prices being at different levels on the option expiration date -- will determine the option's value. AND WE'VE GOT THE NUMBERS TO PROVE IT! ODDS Online options values can make a meaningful difference in your trading. 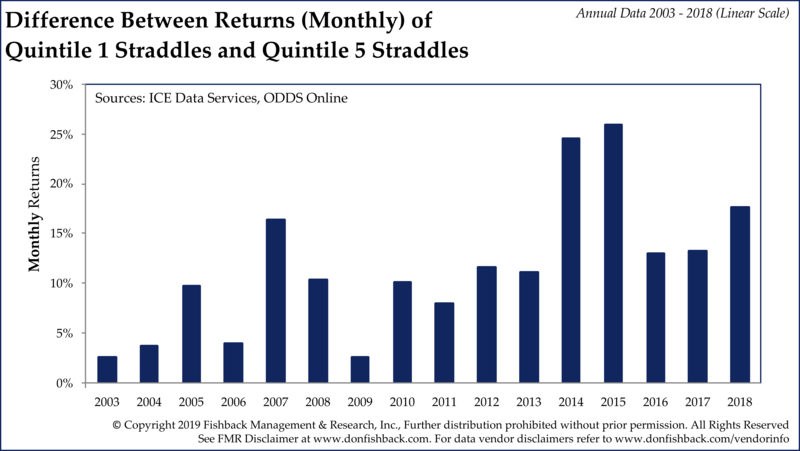 This image shows the excess returns earned by buying non-directional options trades one month in duration for the period 2002-2018 [number of trades analyzed: 184,437]. Options whose price is lowest relative to our proprietary value are found in Decile 1. 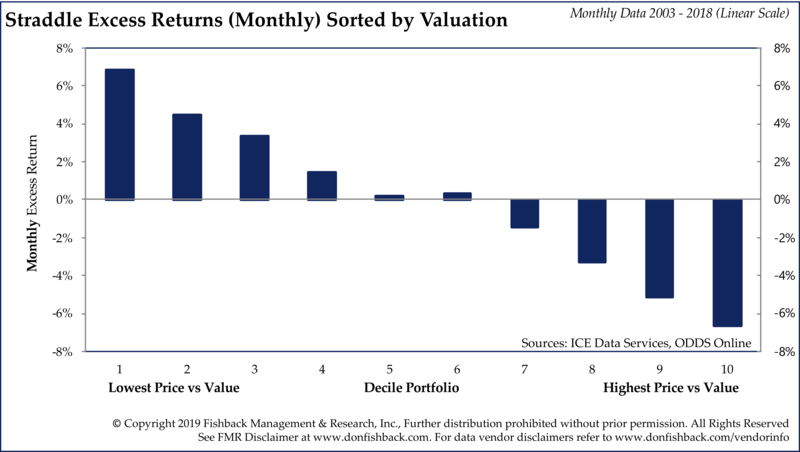 Options whose price is highest relative to our proprietary value are found in Decile 10. The difference between the performance of options in Decile 1 and 10 is a massive 13.5% per month. As is clear from the chart, the values we provide give you a clear, economically significant edge that surpasses that of any other known anomaly. ODDS Online. Setting a new standard in options analytics. And the only source that gives you the edge you need.